The Secret Key to Getting Everything You Want In Life! When you were a tiny, little child, you made your way around the world on your hands and knees crawling. Everyone around you was walking and one day you got it into your head to give that a try. So, little by little, you worked on developing the skills you needed to walk. You grabbed on to something above you and pulled yourself upright. You stood up, holding on to a table or chair or big stuffed animal. Wobbly and unsure, you let go, fell down, and tried again and again, until you stood up all by yourself. Then, you took a step. out from behind the other while you held on to Mom’s or Dad’s fingers, you eventually took your first couple of steps… all alone…all by yourself…and (hopefully) to the cheers and applause of your family. Baby steps. One at a time. And you were WALKING! No, of course you didn’t. So, why do you do that now? What’s different today with any goal you want and desire you have for accomplishing anything? When did you lose the ability to make a goal, go for it, and get it? How come you don’t do what you did when you were one or two years old? Somewhere along the way in your life, you became unwilling to take baby steps. You lost faith in the universal truth that the simple little disciplines done again and again over time would move the mightiest mountains. WINNING IS ALWAYS A MATTER OF SLIGHT EDGE. Who can forget that moving moment of triumph in the ’94 Olympics when American speed-skater Dan Jansen at last overcame years of discouragement, disappointment, and frustration to finally win the gold medal in the 1000 meters, setting a world record of one minute, 12.43 seconds? Do you know by how much of a margin Jansen won? Do you know what the difference was between the winning world record gold medal and the virtual oblivion of second place? Twenty-nine hundredths of a second! That’s a very Slight Edge! No matter where you look, no matter in what area of accomplishment, life, work, or playthe difference between winning and losing, between going down in the record books as first and best…or not at all-the gap that separates success and failure is always measured as … THE SLIGHT EDGE. And the best news of all is that it’s not just the winning goal that’s THE SLIGHT EDGE. This entry was posted in Advertisement, Blogs, Builth & Health, Computer, Earn Money, Free Download, Free Software, Home Business, Marketing, Paid To Click, Programs, Shop, Traffic Exchange on April 21, 2014 by asarbudi. 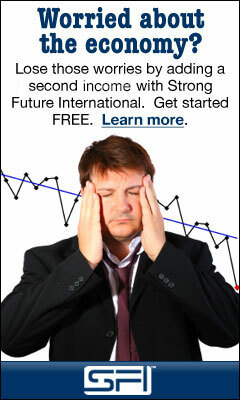 Building downlines in traffic exchange programs is easy but earning commission is another thing. For several years I ‘ve built downlines in the hundreds but getting them to upgrade or buy credits was next to impossible. I just couldn’t figure it out, I mean I was doing almost everything the other guy was doing, ya know? clicking for hours from one traffic exchange to another week after week, buying credits here and there but I was getting absolutely nowhere. The last three months have been quite an eye opener, seems silly I know, but is it that hard to earn commission from traffic exchange? for me it was anyway. I knew that some people were earning some healthy commission every month from these traffic exchange and I wanted to learn too. Here are a several tips that I’ve learned during my journey on how to earn commission from traffic exchange programs. This entry was posted in Advertisement, Blogs, Builth & Health, Computer, Earn Money, Free Download, Free Software, Home Business, Marketing, Paid To Click, Programs, Shop, Traffic Exchange on April 19, 2014 by asarbudi.